Guard Infantry There are 15 products. Italian Guard Velite Grenadiers (Veliti Reale) Firing Line. 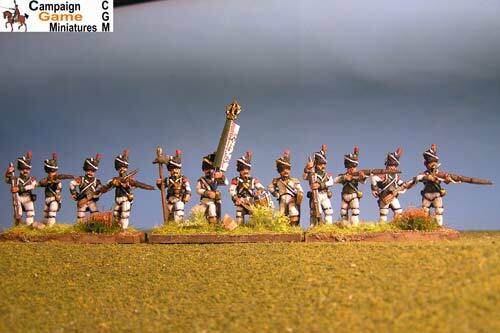 3 command figures in 12 figure battalions. 4 command figures in all other battalion packs. Italian Guard Velite Chasseurs/Carabinier (Veliti Reale) Marching. 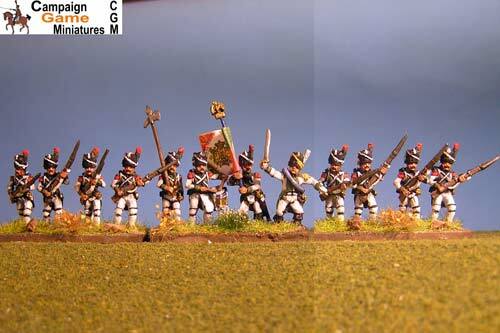 3 command figures in 12 figure battalions. 4 command figures in all other battalion packs. Italian Guard Velite Chasseurs/Carabinier (Veliti Reale) Advancing. 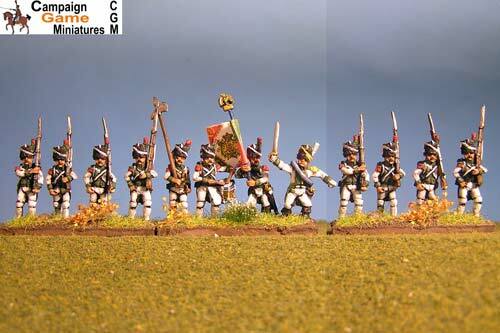 3 command figures in 12 figure battalions. 4 command figures in all other battalion packs. Italian Guard Velite Chasseurs/Carabinier (Veliti Reale) Firing Line. 3 command figures in 12 figure battalions. 4 command figures in all other battalion packs. Italian Guard Grenadiers (Reale) Marching. Italian Guard Grenadiers (Reale) Marching. 3 command figures in 12 figure battalions. 4 command figures in all other battalion packs. 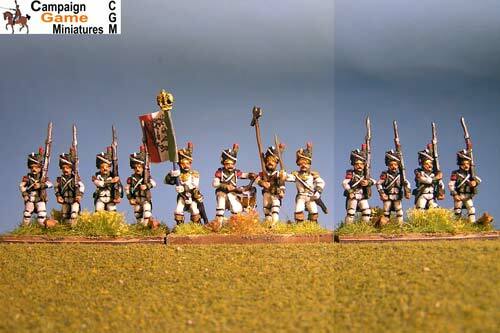 Italian Guard Grenadiers (Reale) Advancing. 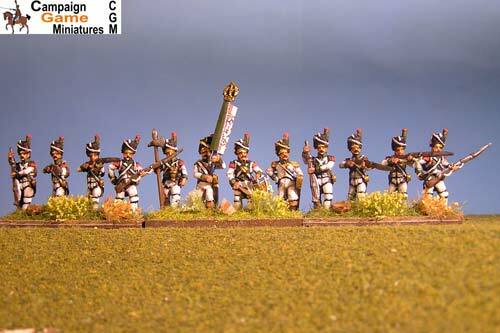 Italian Guard Grenadiers (Reale) Advancing. 3 command figures in 12 figure battalions. 4 command figures in all other battalion packs. Italian Guard Grenadiers (Reale) Firing Line. 3 command figures in 12 figure battalions. 4 command figures in all other battalion packs. Italian Guard Chasseurs (Reale) Marching. 3 command in 12 fig pack and 4 command in all other Battalion packs. 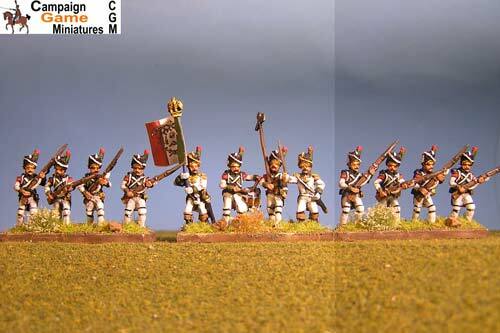 Italian Guard Chasseurs (Reale) Advancing. 3 command in 12 fig pack and 4 command in all other Battalion packs. Italian Guard Chasseurs (Reale) Firing Line. 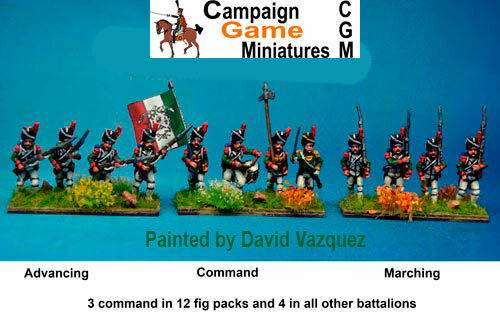 3 command in 12 fig pack and 4 command in all other Battalion packs.